The difference between a poison and a medicine is often not clear. Side effects are essentially ways in which a medicine can harm us but it's alright because the effects usually aren't too bad and we otherwise get healed. Antibiotics often cause an upset stomach, but they also prevent us from dying of an infected paper cut. A more extreme example is cancer drugs, which are often highly toxic but are deemed necessary in order to defeat a greater evil. Even still, there are substances for which the bad effects clearly outweigh the good ones (if there are any). 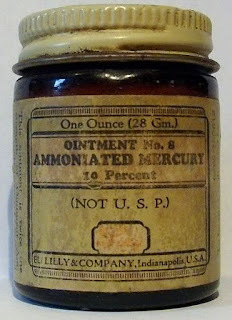 Many have seen use as medicines at some point in time. These are their stories. Arsenic is one of the classic poisons, having been used since ancient times due to its high toxicity and undetectable nature (at least until certain advances in analytical chemistry were made). Not only is super deadly if you get a big dose of it, but long term exposure to small amounts can result in cancer. 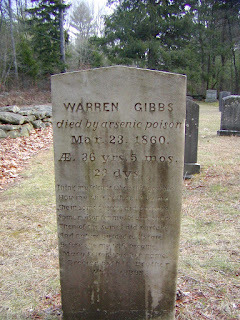 Interestingly, arsenic is also considered one of the world's oldest drugs, making an appearance in medical texts from ancient Greece and China (e.g. Hippocrates noted its use in the treatment of ulcers). Fowler's solution (1% potassium arsenite) was introduced in mid 19th century for the treatment of a wide range of conditions including anemia, rheumatism, psoriasis and other skin conditions, asthma, cholera, and syphilis. This solution would sometimes be mixed with iron and be taken by the teaspoon with meals. Organic molecules that include arsenic (e.g. arsphenamine) were introduced in the 1910s as a means of treating syphilis, but were replaced by penicillin, which is considerably safer, in the 1940s. Although arsenic has otherwise been phased out of modern medicine owing to its toxicity, arsenic trioxide is currently being investigated as a means of treating a particular form of cancer known as acute promyelocytic leukemia, with acknowledged risks of organ damage and other future cancers. In addition to being a laxative, calomel is a powerful diuretic (promotes the formation of urine) (see: Guy's Hospital pill) and was for a time used to treat the infectious diseases yellow fever, typhus, and syphilis. It is also included as an analgesic in some infant teething powders that were solid in the UK up until the 1950s and are still available in parts of the world, the use of which can cause a form of mercury poisoning known as acrodynia (“pink disease”). Lead, which doesn't appear to have any useful properties as a medicine whatsoever, nevertheless has historically been included in preparations applied to the skin to relieve the itching caused by poison ivy (e.g. lotion of lead and opium, lead acetate and alcohol). Lead and opium pills were also used for a time as a treatment for diarrhea, although opium can achieve this effect just fine on its own. There are several case reports from the 1970s describing patients with hepatitis (liver inflammation) who recently had obtained lead and opium pills to get high. They crushed the pills, suspended them in water, and injected them, resulting in acute lead poisoning. The amount of lead measured in their livers was up to 35 times greater than levels reported in those with a history of occupational lead exposure. Benzene, a component of crude oil, was at one time used to treat leukemia (white blood cell cancer) and polycythemia (too many red blood cells), which it accomplished by damaging the bone marrow where blood cells are produced. Unfortunately, too much benzene-induced damage can produce a steep decline in blood cell levels, resulting in severe anemia (not enough red blood cells), increased susceptibility to infections (not enough white blood cells), and bleeding issues (not enough platelets), any one of which can potentially be fatal. Just to top it all off, benzene is a carcinogen and can itself cause leukemia. Oh wait, there's more! On at least one occasion, benzene was used in combination with radium to treat polycythemia, which is perhaps the most brutal one-two punch of poisoning I've come across. 2,4-Dinitrophenol is a derivative of benzene that was recognized as the cause of poisoning among munition workers during WWI. However, in the 1930s, it was introduced to great acclaim as a means of treating obesity due to its ability to increase basal metabolic rate. Among other things, 2,4-dinitrophenol disrupts ATP generation in mitochondria, causing the body to up its metabolic rate to compensate and thus burn more calories. Eventually it dawned on people that their miracle diet pill was pretty darn toxic, with adverse effects including skin lesions, nerve damage, lowered white blood cell counts, liver and kidney damage, and cataracts. I managed to dig up a paper from 1973 reporting the use of DDT, an insecticide that is banned in most countries due to its toxic effects on animals, as an antidote for folks who overdosed on barbiturates. In this trial investigation, individuals who had ingested a whole lot of pills were given a one-time dose of 5 grams of DDT in peanut oil. The authors speculated that the DDT worked because its ability to excite the nervous system counteracted the depressant effect of the barbiturates. DDT exposure has been tentatively linked to cancer and negative neurological and reproductive effects in people but more studies still apparently need to be done to confirm things. In the early 20th century, tetrachloroethene was used to treat hookworm (Necator americanus) infections, usually being administered as a single teaspoon-sized dose. It is perhaps best known as a solvent widely used for dry cleaning, and has been identified as a probable carcinogen. Strychnine, a bitter alkaloid produced by a tree (Strychnos nux-vomica) native to India and southeast Asia, is another of the classic poisons. It kills by intensely stimulating the nervous system, including nerves in the spinal cord that control muscles, resulting in muscle spasms that prevent the possibility of breathing. It's been used to kill a variety of animals pests including birds and rats. 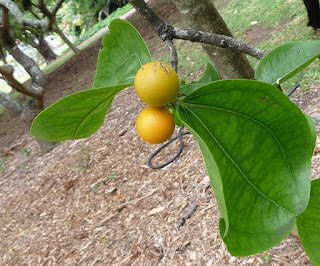 For a time, strychnine was widely used as a tonic, or stimulant. This effect was attributed to its bitter taste combined with its stimulation of the gastrointestinal tract and skeletal muscles, which is a bunch of hooey since lots of drugs are bitter and the stimulatory effects wouldn't have appreciably occurred at the doses that were usually given. One particular preparation was pills containing aloe, strychnine and belladonna (deadly nightshade) that was described by Goodman and Gilman (1941) as an “unnecessarily complicated and irrational cathartic mixture.” Making things worse, the pills were usually sold with a sugar coating (since they tasted bitter) and so were often a cause of strychnine poisoning in children who managed to get their hands on them. Beard J. 2006. DDT and human health. Science of the Total Environment 355(1-3):78-89. Beattie AD, Mullin PJ, Baxter RH, Moore MR. 1979. Acute lead poisoning: an unusual cause of hepatitis. Scottish Medical Journal 24(4):318-321. Counter SA, Buchanan LH. 2004. Mercury exposure in children: a review. Toxicology and Applied Pharmacology 198(2):209-230. Dally A. 1997. The rise and fall of pink disease. Social History of Medicine 10(2):291-304. Gibaud S, Jaouen G. 2010. Arsenic-based drugs: from Fowler’s solution to modern anticancer chemotherapy. In: Medicinal Organometallic Chemistry. Springer Berlin Heidelberg. 1-20. Paci E, Buiatti E, Seniori Costantini AS, Miligi L, Pucci N, Scarpelli A, Petrioli G, Simonato L, Winkelmann R, Kaldor JM. 1989. Aplastic anemia, leukemia and other cancer mortality in a cohort of shoe workers exposed to benzene. Scandinavian Journal of Work, Environment & Health 15(5):313-318. Young MD, Jeffery GM, Morehouse WG, Freed JE, Johnson RS. 1960. The comparative efficacy of bephenium hydroxynaphthoate and tetrachloroethylene against hookworm and other parasites of man. American Journal of Tropical Medicine and Hygiene 9(5): 488-491.